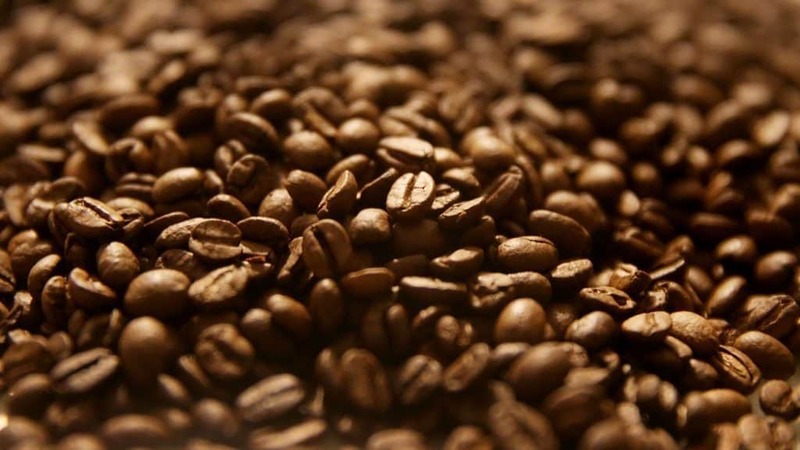 Home » Elevate Coffee Review: Is Smart Coffee Worth It? 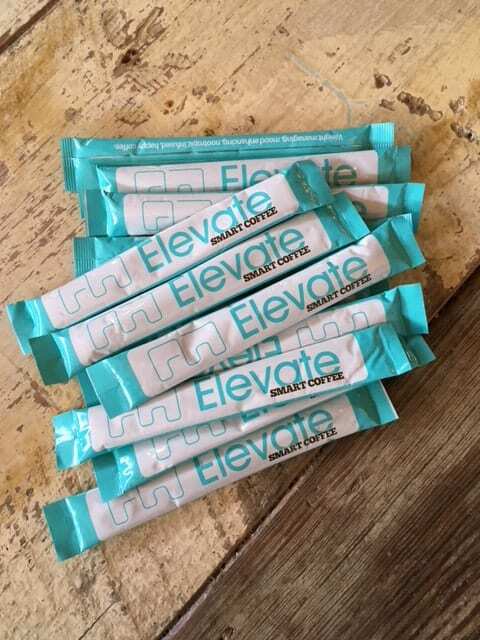 Elevate Coffee Review: Is Smart Coffee Worth It? You may have heard about Elevate Coffee (or Elevacity Coffee, or Smart Coffee, which are all the same thing) and wondered if it’s just another silly sippable trend or if it actually delivers on its promises. I did. I ordered a couple of sticks to try out before committing to the tub. Let’s look at the claims first, then talk about my personal Elevate Coffee experience. Should You Try Elevacity Smart Coffee? There are some pretty incredible claims being made about this coffee! See what I mean? I was most drawn to the enhanced mental effects Elevate Coffee was supposed to provide. I was pretty skeptical about the weight loss, cravings, love, and fat burning claims. I’m not sure why I believed in one set of the potential benefits and not the others, but that’s just how my mind works. I’m skeptical of weight loss and fat burning products in general. Too many scams out there. 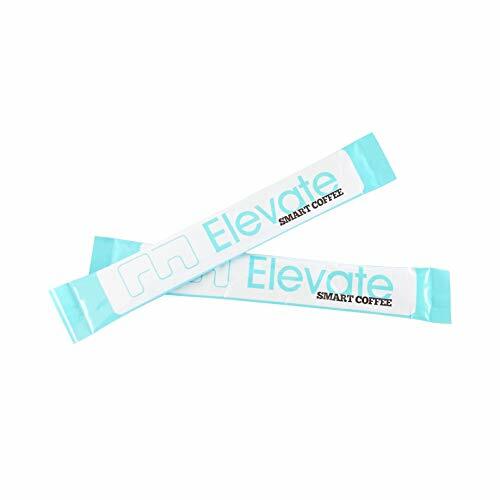 So is Elevate Coffee a scam? I don’t think so. Not at all. Am I going to drop two sizes in a week? No. So what’s in this magical coffee, anyway? Some of the ingredients are self-explanatory, but I’ll expand on some of the ones that aren’t. Obviously, there are lots of sources of caffeine here. The price is the biggest downer about Elevacity and Elevate Coffee. Smart Coffee has to cost more than just your everyday coffee though, right? The bottom tier: I paid about $10.00 for two sticks on Amazon. (Check out the latest rates here!) That’s $5.00 per cup, more than a cup of regular coffee in a café, by far. Prices on the bag of 24 sticks and the 30-serving tub will vary on Amazon, but expect to pay around $60.00 to $75.00. I tried Elevate Coffee with high hopes for a productive day. I had deadlines to meet and I was absolutely dragging after a long week of late nights and early mornings (I’m writing this on a Friday). My go-to for times like this is usually mushroom coffee with lion’s mane, but I wanted to try something new and different to compare. I like that it’s instant coffee because I can take the easy way out and just heat about seven or eight ounces of water in the microwave, snip open a packet, pour it in, stir, and sip. Sometimes I don’t feel like going through the process of brewing a pot of coffee, especially if there’s no one here to share it with. There aren’t any instructions on the stick, so I had to look them up. That was a minor inconvenience, but since I’m telling you now, it’ll save you the trouble. You can use four to eight ounces of hot or cold water. Just pour in the contents of the stick, stir, and it’s ready to drink. You can add it to other beverages, too, but for the sake of this review and a clear opinion of the product, I just wanted to try it the traditional way: hot water, nothing added. I used about seven ounces of water. The packet is long and skinny and a little awkward to shake to get the contents away from the opening before you tear it open. There’s a notch that makes it easy to tear open, but I was still tempted to get my scissors since it didn’t open all the way across and all the product had to pour from a small hole. No big deal, though. I got it all and it didn’t spill. This is kind of a random observation, but the packaging itself lifted my mood a little, even before I’d sipped the coffee. The bright turquoise was nice. It seemed like there was a lot of product in here for the amount of water recommended. Compared to other packets of instant coffee, this seemed like a lot. It mixed fine, though, once I started stirring it in. I loved trying to analyze the way this coffee smelled as I poured it into my cup. 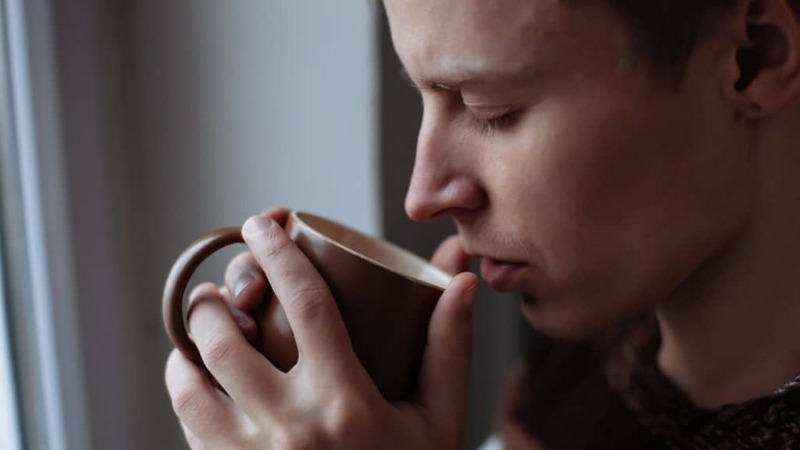 It was somewhere between the instant cappuccino packets I used to use to stay awake in college, the fresh coffee I tend to enjoy now, and the mushroom coffee I drink on occasion (there’s an earthiness to it). Once stirred, it was even harder to figure out. It’s not like the average bag of coffee with standout notes to detect. This is, quite simply, “just coffee.” I could still sense that little bit of earthiness and maybe a little bit of cocoa. Nothing remarkable there, but I wasn’t drinking it for its fragrance. I needed results. Similar to the smell, the flavor was nothing special either, but I did appreciate the fact that it didn’t taste stale like some of the brands I’ve picked up from the grocery store in the past. It’s not as earthy as mushroom coffee or as much of an explosion of notes and flavors and excitement like a bag straight from a roaster. It’s somewhat bitter, so if you’re not used to drinking your coffee black, you’ll want to add something to it to at least sweeten it up a little. You’ll probably want some kind of milk or cream, too. There’s an aftertaste I can’t quite put my finger on. I almost want to call that earthy, too, but there’s something else going on with it that I’m not sure I can describe. It’s like there’s a sharpness to the overall flavor that’s being muffled by other aspects of the brew. It’s almost as if it’s trying to have a bright, acidic flavor like a lighter roast, but it’s also got the heaviness of a dark roast. There’s a creaminess (nothing major) that plays off of that indescribable aftertaste that makes it interesting. I’d call it a medium body. It doesn’t seem as thin as other instant coffees I’ve tried. I really hope this isn’t psychosomatic, but the effects seemed to creep in before I was even done with the cup. Even though my eyes were still feeling kind of heavy, I started feeling a sense of clarity and focus. The brain fog that goes along with fatigue started to lift. I still would’ve preferred a nap over working or getting my workout in, but I wasn’t dragging through putting one word behind the other at an unprecedented slow pace. My energy felt stable, not frantic, so I was still able to work instead of getting distracted or too antsy to stay at my desk. By the end of the cup, I no longer wanted a nap. I felt like I could work for hours and not lose steam. My mind was clear and I was happy. I felt almost like there was a new kind of (helpful) brain fog that worked like blinders, though. It made it very easy to focus. A little later (I take forever to finish a cup of coffee), I felt my mood begin to lift. It wasn’t in a bad place anyway, but I was pretty low energy. I started to feel more hopeful about some of the projects I was working on. I knew I’d hit all my deadlines and have room left for a little creative planning for other projects. I swear I started feeling more love for myself and everyone else about two-thirds through the mug of coffee. Maybe the world should drink Elevate Coffee and we’ll finally have world peace? Okay, that might be a little bit of a lofty goal for coffee, but still. 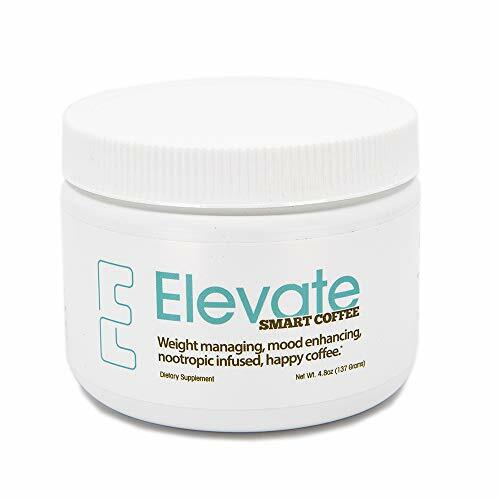 I can’t comment on the weight loss effects of Elevate Coffee since I haven’t used it consistently, but I didn’t feel hungry for a while after I drank it. Between that and the mood booster (which should guard against at least some stress-eating), I can easily see how it could result in weight loss. I do need to note that there was a brief second when I thought I was about to have another panic attack. I get them from time to time, but they’re rare. I crept right up to the edge of one but quickly came back down (and then suddenly got the urge to get up and do a happy dance in my office). Nothing happened, panic-wise. It was probably the caffeine. I had already had my normal first cup of the morning a couple of hours earlier. A little while after I’d finished my cup, I started wishing I’d never had that first cup of coffee. I felt like I’d gone a little overboard with the caffeine. I was still able to focus but felt a little wired. 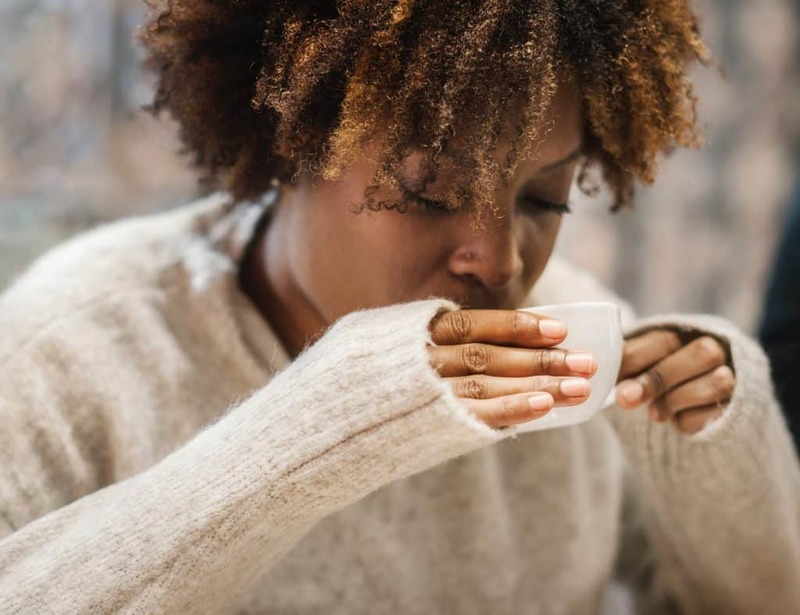 If you’re sensitive to caffeine, keep this in mind. 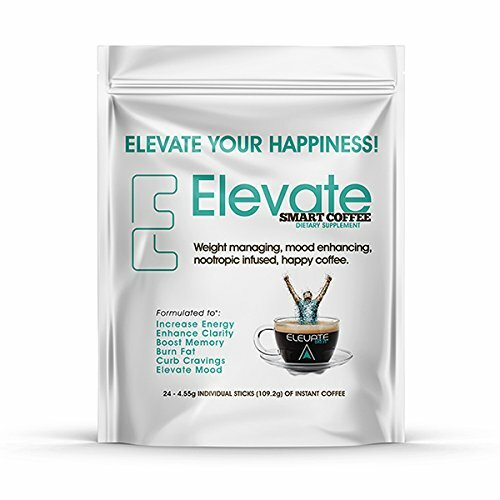 At first, I read that Elevate Coffee had 130 mg of caffeine compared to 100 mg in a typical cup, but when I went to the Elevacity site, I saw that it has 140 mg per serving, which is a good bit more caffeine than an average 8-oz cup. Yes, you should. But I don’t recommend going for the full size right off the bat unless you have an extremely flexible budget and like to dive right into new things. I didn’t personally want to pay about $60.00 for a tub of coffee. I had no problem with the $10.00 “investment” in two sticks. I think everyone should try at least a stick or two of this unless they just don’t like coffee or can’t handle caffeine.